~Third bed room has wall of glass overlooking this beautiful terrace. ~Two Full baths and space for a 1/2 bath that is already plumbed. The night before Hurricane Irene, we were trying to figure out what was flying around a lamp post. It was diving and very sporadic. Just seemed too big to be a moth, too small to be a bird, and definitely was not superman. For a while the thought...maybe a cute little bat that likes all those yummy insects drawn to the light. The Morning After...Good Night Irene! It was a long Saturday following the reports of Hurricane Irene..how high the winds, how many inches of rain and the entire preparedness for the worst. I finally went to bed about 3AM...to be awakened at 5:30AM with that boom sound alerting us that the power has just been lost. No problem...we have a back up gas generator. Waiting a few seconds I hear it trying to start, a few seconds more another try and then another few seconds...and I realize three strikes and you are out...out of power that is. A call to the company who tells me they are not that busy and will be out as soon as the rain lets up. My cell phone charge is going down so I take a ride to survey the neighborhood and re-charge my phone. There was a lot of debris and quite a few downed trees... even a blocked off street.... all within a mile radius of my house. After another call a service technician shows up about 1:00. Actually pretty amazing service considering there are thousands without power. Instead of waiting for the fix, went out for a late brunch with daughter, Erica who spent the night (because Mama has a generator) and our friend, Robin who lives nearby. I was thinking how many things we have come to depend on by having electric and made this short list...Lights are number one (we all had our own flashlights), but in addition.. my adjustable bed, a TOTO toilet, an electric toothbrush, a water-pik, hairdryer, home phone, computer, clocks, garage openers, multiple TVs, microwave, phone chargers, and an electric chair stair glide. We are spoiled, we have gotten used to our electric dependency! Notice how easily I mentioned computer with all the rest...meaning NO ActiveRain! Well I could check it on my cell phone but needed to conserve battery. My brilliant daughter took a power strip to the restaurant and we all plugged in our phones. What electrical item could you not live without in the morning? Real Estate is Like a Hurricane! How so you might ask? You have to be prepared for the worst and hope for the best..it can't be the other way around. When taking a listing, sellers need to be prepared for the various stages of the transaction. The house has to be assessed for repairs, upgrades and unnecessary items removed. It has to be ready for showing. Counseling needs to be done at this time regarding the stress of the move. Are you 100 percent sure you want to sell? What if it sells in a week...where will you go? What if it doesn't sell for six months...will your plans change? When it does sell are you prepared to say goodbye? I have found in my careers of nursing, art, and real estate that when speaking to people with depression, there was some kind of tragedy that happened 18 months to 24 months prior. Moving may not be a tragedy but it is a major life change. You have to be aware of the stress associated with a move. You have to be prepared to show the house, sometimes with little or no notice. Then you have to be prepared for showings and no feedback or no showings for a week or buyers who return numerous times but then disappear without an offer. You have to be prepared for the negotiations of an offer which is not just about price. Can you live with the terms? Can you live with the conditions? Even after the contract is ratified, there are more hurdles. What if it does not appraise, what if the buyers cannot get their loan, what about the 27 minor requests on the home inspection report? Again more stress! Can you see how Real Estate is Like a Hurricane? You have to be prepared for the worst and hope for the best..it can't be the other way around. Good News..Winds From Irene Expected to be 85 MPH Not 100 ! Winds From Irene to be 85 MPH Not 100! Just secured my porch furniture and removed the hanging bird feeders when I heard the Good News..Winds From Irene Expected to be 85 Miles Per Hour Not a hundred! Our governor is calling it a 'monster storm". I am ready for more good news! The contract offer was written on June 18th, the contract was accepted on July 7th, bank approval was given on July 13th and closing took place today August 25! A Quick Smooth Short Sale is No Big Deal...as long as you have the right team. So glad Bridget is on my team! You do know that Bridget and I met through ActiveRain! I provided them an estimated net proceeds calculator, reviewed all of their financial information, we discussed their options. They were ready to start the search. Margaret pulled out all the stops, blogging about the home they were searching for, even walking the neighborhood with flyers to let folks in their chosen neighborhood know she had some special buyers who may be interested in purchasing their home if they were thinking about selling. Their home went under contract. They hadn't found the right home yet, so their parents opened their doors (temporarily) to the whole family. Mr. Buyer got a hard time at work for living with his folks, but his parents were thrilled to have the grandkids underfoot and enjoyed all the home cooking provided by Mrs. Buyer! Not long after, they found THE ONE! It wasn't in the neighborhood they had chosen. It wasn't a townhome. It was a fabulous single family home that was much more home then they had even considered. Oh, and it was a short sale with not one but two liens! Oh No! We have all heard the horror stories. Heck, most of us have been involved in the horror stories! Depending on the bank, this could be a nightmare. We warned the buyers that they might just have to plan on an extended stay with the parents! A contract was submitted, shortly thereafter it was accepted with a few minor adjustments. Both liens (with Wells Fargo) signed off, and we were ready to go! At Margaret's request we ordered the title from Jeff Margolies of Supreme Title. He worked behind the scenes to ensure that everything went smoothly, even with a seller in BANGLADESH! Papers had to be overnighted and signed at the American Embassy. Apparently there is no wrench that Jeff and his team can't make go away! Here's Jeff, a true title pro. He will tell you that his lovely bride (and business partner) helps to make everything happen. Robert Ellin (the listing agent) and his team did a fabulous job of taking care of the lien holders, getting all the approvals and working with Jeff to facilitate the seller's side. On the buyer's side Margaret helped the buyer through all the necessary inspections. The appraisal came in with no conditions. 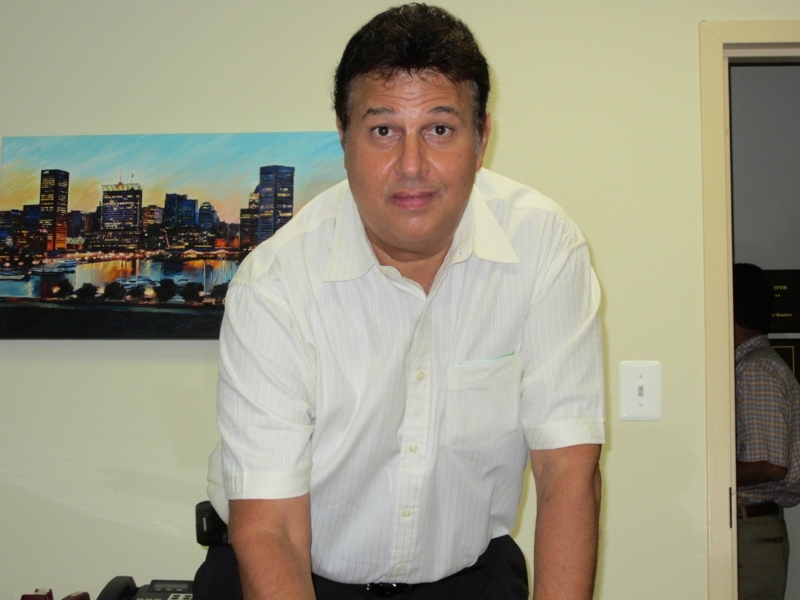 The purchase loan package was submitted, the loan was approved with only minimal conditions. Settlement began with Jeff Margolies, Margaret Rome and the buyers. And of course, I was there. Closing is my favorite part of the whole process! Being there also allows me to work my Mortgage Mama Magic to help calm nervous buyers and answer any questions that may come up in closing. Not long after, the seller, a power of attorney for seller #2, and the listiing agent team of Robert Ellin and Wendy _________ came in. It was a lively settlement room! The seller seemed relieved and settled. The agents were thrilled at how smoothly everything went, the folks at Supreme Title were knowledgable and professional, and the buyers were a little anxious, hoping that nothing would go wrong! Everything signed and sealed, documents had to be sent for review to the lender. A slight delay in waiting for the go-ahead for funding meant that we had time for a little photo shoot and more conversation. All in all a very smooth transaction, with a great team in place that made it all happen! Congratulations my new friends! We sincerely wish you a long and wonderful life in your new home! 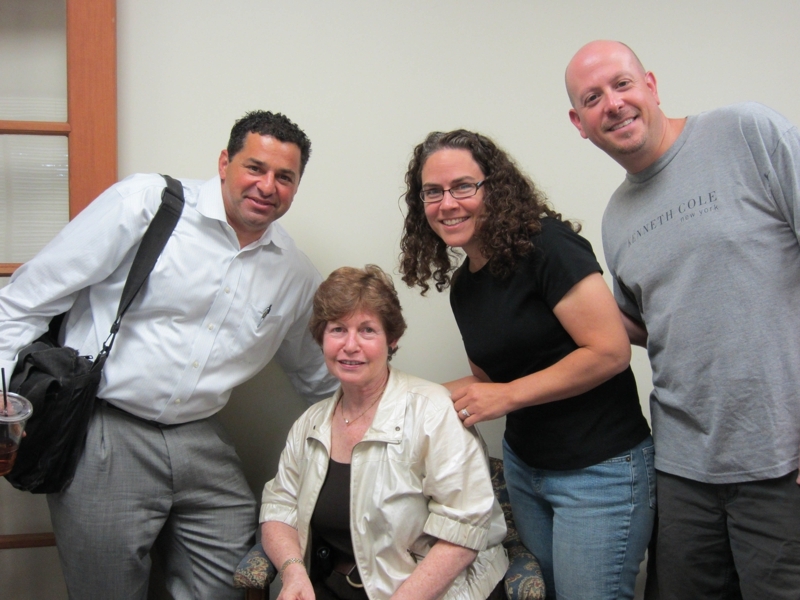 From Left to Right Robert Ellin (Coldwell Banker) Margaret Rome (Home Rome Realty) and our happy buyers. Congratulations!! It's over and now your new happy life can begin! Happy 15 year anniversary!! Blessings! ANOTHER ACTIVE RAIN SUCCESS STORY!! For home owner's we provide a no-cost mortgage review to help you to determine if refinancing may be in your best interest. Please contact me at 410-960-2061. A Quick Smooth Short Sale is No Big Deal! A Quick Smooth Short Sale...No Big Deal! A Quick Smooth Short Sale is No Big Deal...as long as you have the right team. Our team consisted of a terrific listing agent Robert Ellin, title attorney Jeff Margolies, Margaret Rome and Mortgage Mama. We also had the most cooperative and pleasant seller plus wonderful buyers! The team worked together in harmony keeping each one updated and getting everything the bank wanted in a timely manner. 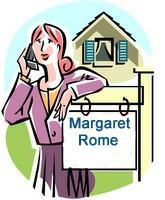 In my opinion, it is the relationship of the listing agent with the bank that makes or breaks a short sale. Robert Ellin was a delight to work with and on top of each and every detail. I like the laminated survey Supreme Title gives to the buyer. I had the best buyers in the world! At first we were looking for a townhouse with garage. We were lucky it was not available because we found this wonderful single family home with a two car garage in a neighborhood with lots of their friends! Always thought M&M stood for Margaret in Maryland but Bridget said otherwise..Mortgage Mama. Can we both be right? Absolutely! 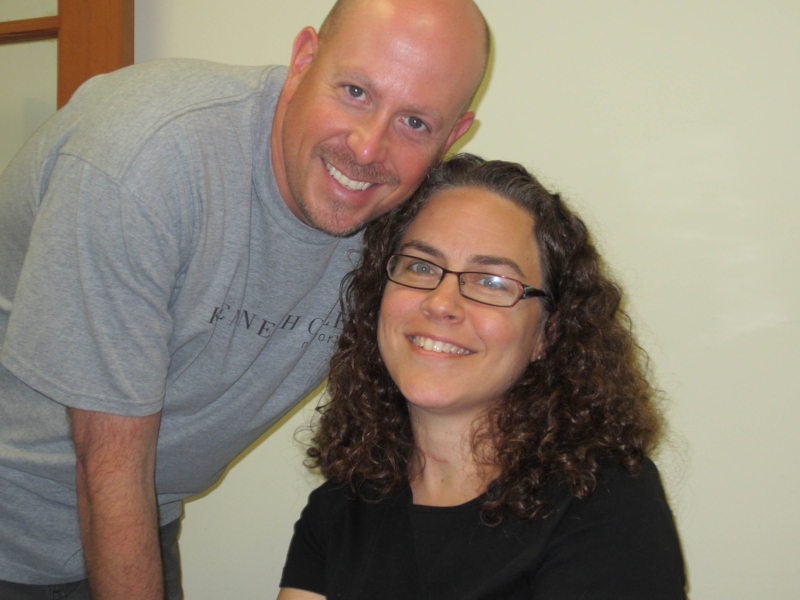 How many people can say they sold a home on Baltimore's Earthquake day? My favorite stone rancher is under contract! We found the right buyers for 8820 Greens Lane located in the Fieldstone neighborhood of Randallstown. These wonderful sellers thought about selling before their beautiful daughter was born. This is the house about six hours after the Baltimore eathquake. How many people can say they sold a home on this day? I took this photo before presenting the contract last evening. I took this photo as I was leaving with signed contract in hand. Curb appeal does make a difference! ...Guess you don't have to wonder what to blog about today!" My reply...You got that right. It was a beautiful August day, low humidity, bright blue sky, a breeze blowing and it was 1:50 PM. Lee was getting out of the back seat of the car for a 2:00 appointment at Franklin Square hospital. The bouncing was much more than usual…when I looked back, he was already out of the car but the bouncing continued…more like a bucking motion. I thought it was some kind of engine problem. But then I looked up and saw the hospital’s fixed curved roof awning moving with the same force! That’s when the words, ‘Oh Spit', came out of my mouth along with, "We are having an earthquake!" Within moments the hospital doors opened and people started pouring out..looking around with fear and concern. Almost everyone, including me, was trying to use the cell phone. There was no reception...no calls could go through. Immediately turned the radio on and heard that we had been hit with a 5.9 Quake! Organized Garage...A Lot Of Stuff! You can have a lot of stuff and still be organized. Here are some photos of a garage and how many items were stored for easy access. It was a pleasure to show. Everything had a place. And this is the the right house that my buyers my future sellers have under contract! They were so impressed with how much this house could hold. They cannot wait to start filling it with their stuff. So it is not always the cleanest uncluttered home that sells. This organized garage with a lot of stuff helped close the deal! Tongues, Eyebrows and Whiskers Have Nothing To Do With Real Estate! Or Do They? This week I was was intrigued by two posts. The first was William Johnson's showcasing the beauty of his little friend's tongue ...and then another by janeAnne showing off Twylah's lashes. Not to be outdone, I was trying to capture Phoebe's whiskers but then wanted more. After 10 or 15 minutes, I was able to get not only her whiskers but her tongue..not quite as unusual as William's photo but I like how you can see the smooth and the rough contrast. In real estate there can be some real smooth deals and some real rough deals..see I did tie it all together! Good News! 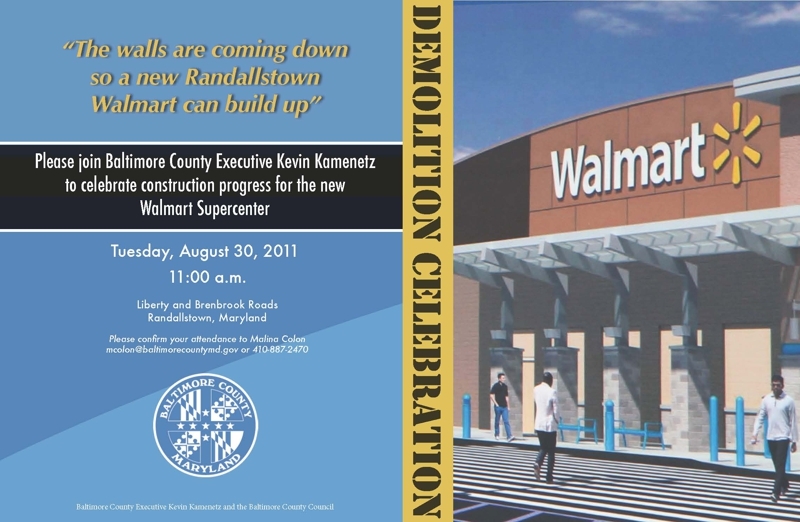 Super Walmart Opening in Randallstown! Received a comment on my beautiful stone 5 Bedroom Rancher in the Fieldstone Area of Randallstown, Maryland 21133 saying: "...we belong to the Fieldstone Community and we can give you some info about what's planned for the area in 2012.... Then this same commenter, who is the proud owner of one of my listings, sent an email with the attached flyer below! This super Walmart is scheduled to open in the Fall of 2012. Not only will the development create about 100 construction jobs and 350 or more permanent jobs but it is also expected to attract more retail businesses. 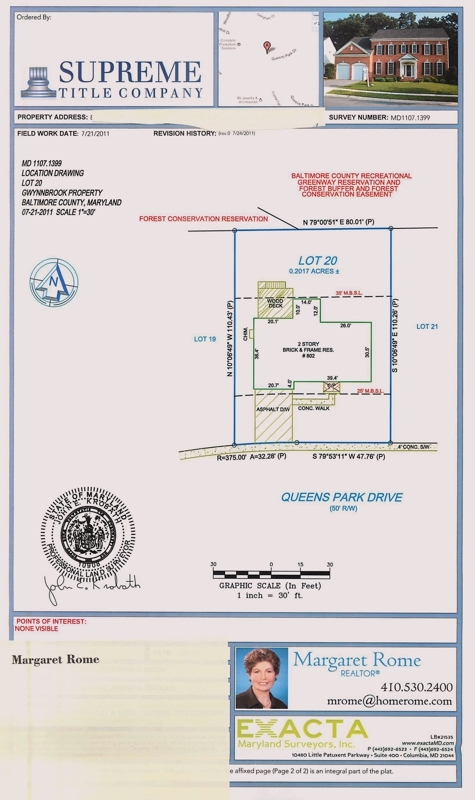 This will be a wonderful addition to the Randallstown community. Good News! Super Walmart is Opening in Randallstown. What School Will My Child Attend in Baltimore? When looking for homes, school systems play and important part. Parents want the best education, they want to research the neighborhoods, they want schools where friends are enrolled. The Baltimore County school information can be found at www.BCPS.org and is the place to go. This is such a convenient site to verify the school systems in Baltimore County. Just go to school locator, put in the address along with the zip code and within seconds you are given the elementary, middle and high schools for that home. Give it a try...no more guessing. The closest school is not necessarily the one that is for your address. Baltimore County Public Schools do not track Baltimore City addresses! If you live within the city limits of Baltimore, please contact Baltimore City Public Schools. It is easy to find... What School Will My Child Attend in Baltimore? To search the MLS either to buy a home or to keep an eye on your own neighborhood, I have made it easy to sign up and search the Multiple List System for All Active Maryland Listings. Try it... a Free Service From HomeRome! Thank you Tom Drechsler for a well presented session. I have been wonderfully busy with my listings, contracts, home inspections, coordinating settlements and even blogging every day. Today, I took a few hours and attended a continuing education class on Code of Ethics and Predatory Lending. This course was presented by Tom Drechsler Esq. who is such a good instructor. When time permits, I go to any of his classes ...like this one back in 2008. Tom has the ability to take a mundane...even boring subject and keep an entire classroom interested. We even kept him a bit over the 3 hour scheduled time, asking more questions. Many of the agents in this class were there because they wanted to learn from the best...and like me did not need the credits. One of these special agents kept her hands busy with this doodling while listening to everything, participating and adding to the overall classroom discussion. Rather than tell you about the COE, you can go read them...I thought I would share her classroom doodling. Don't miss the smiley faces. Thank you Tom Drechsler for a well presented session. We appreciate you and your time! A Blog Comment Told Me I Was Famous! ''I saw your picture in a webinar class I took this morning and I had no idea you were so famous." So I asked Lloyd, ''Which webinar? I did not know I was famous either!" Right away, I clicked on the link and listened. 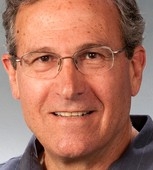 It was my friend and fellow CyberStar® Brad Korn. The presentation was excellent and Brad shared some of my blogging success. My book, Real Estate the Rome Way, was a result of blogging. Blogging has gotten me referrals , a book review, many listings, buyers, wonderful connections and virtual friends all over the country. The Washington Post has quoted me and even ran a front page article in the real estate section, after reading one of my blogs about a Thursday afternoon BBQ. They found me through posts of other unique open houses... like A Three Day yard sale and a Popcorn and Champagne Open House. Anyone who knows me, knows I don't do opens.. but now due to the publicity of blogging, I have gone National. Recently I presented a session at our board for Rookie agents. Instead of telling the class why they 'should' blog, I told them why I blog. I blog about my listings. 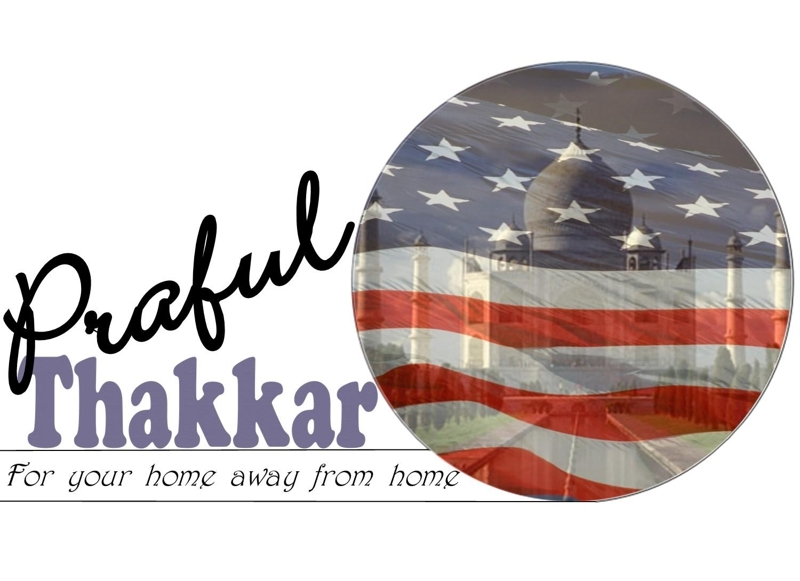 I blog about neighborhoods and link back. I blog about the weather, the birds, the squirrels, and my beautiful new cat, Phoebe. I blog answers to buyers and sellers questions. I blog about other agents, transactions, vendors, restaurants, what 2 questions I ask to get a listing. I even blog about a special member like Lloyd Binen and pick up the phone and have a delightful conversation. Continue to blog and you might hear: I Had No Idea You Were So Famous! Yes I Still Make My Own Appointments! One reason.... It is my way of servicing my clients and staying in touch. Had an agent email me at 1:00 AM wanting to show one of my listings at 10AM, this same day! When I checked the email...it was still too early to call the seller. Before 8:00 am the agent calls, asking for the 10:00 AM showing. I was able to reach the seller but could not arrange the showing until 12noon. That was not acceptable to this agent. "I have lot of showings." Out of curiosity, I asked how many. To my surprise...she said, " twenty". So today she will only show 19! If this property was on central showings, neither the email or the phone would have been answered. We have to be flexible..there are real people living in the homes I represent. Some agents feel that properties need to be on a Lockbox...and available 24/7. We are NOT talking about vacant homes! If an agent is showing 19 homes and has a very narrow window and doesn't make her needs known until the last minute...yes the house may not be shown. Common sense prevails....but common sense is not so common. Today August 15th is the last chance for entering this contest. Entries must be in by midnight! For all you procrastinators, those who missed the original blog and those that just need a reminder..go post your "Why I Chose Real Estate Blog"! Here is my entry...Why I Chose Real Estate...It Really Was an Accident! 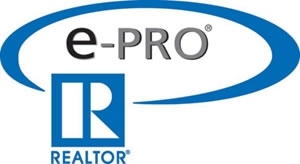 Diary of a REALTOR® group is having a contest! Contest Title: Why I Chose Real Estate! The title seems simple but could prove to be a real challenge! 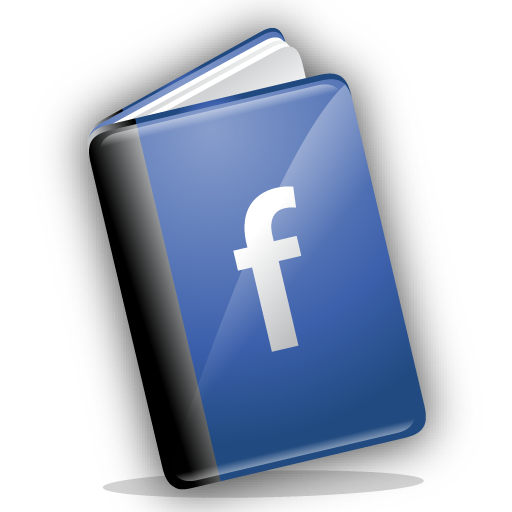 Diary of a Realtor® wants to help you create a post that can be saved and savored by your family and clients and friends alike. This contest is open to all of us in every aspect of the Real Estate Business. Realtors, Mortgage Brokers, Inspectors, Surveyors, Stagers, and well...everyone! The requirements are challenging and may require a lot of work on your part. Keep in mind that anything with value is worth working for. This is to be written by you to be handed down in your family. You must write for YOU. Your post may be written and composed to become optimized by you for the search engines to help your clients get to know you or can simply be a Members Only Post. Your writing is for you and yours! Contest Begins July 8, 2011 and will extend till August 15, 2011 11:59 PM EST. *One Baby pictures of Yourself. Ages 0 - 10 years old is acceptable. (If you have absolutely none, then we will accept the oldest photo you have) Pictures may include other people but YOU must be the focal point. We want to see your chubby cheeks. List names of people from left to right. Choose your favorite and one that will become a family/client favorite. You can certainly have more than one photo, but at least one. *Explain and write about the pivotal point in your life that made you decide that Real Estate and the related business is for YOU. *YOU have the choice as to how to present your photos and tie your story in to the theme: Why I Chose Real Estate! *There is no Maximum word count. The Minimum word count is 200 words. Please do not skimp on the words. We are leaving words and pictures for our Diary! Tag lines do not count! *All aspects of the Winning Post will be judged. Creative License, Photos, Storyline, and "Feeling" will be judged. But, don't worry, all entries are winners. If you are able to create a post that YOU would be proud to share with YOUR family, then YOU are a WINNER! *One (1) entry per person. *The Title of the entry should begin with "Why I Chose Real Estate! and then can show your personal entry Title. *All entries will be rewarded with 500 Bonus Points. *If your entry is received by July 30th, 2011, you will receive 500 Bonus points and the 500 Bonus Points for an entry for a total of 1000 points. *Winners will be Judged on Creativity, Photos, Storyline, Overall "look" and "feel". *Newbie's are invited to participate. No Partiality will be shown. Give us YOUR best. I understand this is going to take some digging in your photos, attics, contacting Grandma and various other chores. You will be required to scan the photos and place them on your blog. If you have any difficulties with this we are here to help. Contact an Ambassador of ActiveRain for your personal directions. All Ambassador's are here to help. No one is excluded from this contest. Get started today. Make your phone calls and designate your family to find their favorite photos of you. Come on! Let's get really creative and include this wonderful post in YOUR archives for personal use! Remember the kids? They will love it. Good luck to all. We are all on an even playing field! 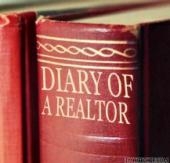 Diary of a Realtor® 2011, Contest. Lake Conroe, Lake Livingston Video Advice! What a wonderful way to end a workend. Yep a new listing and a new property under contract! On Fridays...I sometimes say: "Only 2 more workdays until Monday!" This weekend was just that...a workend. I am just about to write a post about my new Canton Listing at 709 S. Milton Ave when I see this amazing post by my friend Praful. I am so fortunate to have his admiration and friendship. This reblog will count as tonight's post! Praful, You have always honored me by discussing your business ideas with me. Thank you my virtual friend!! It was July 2006, almost at the same time when ActiveRain took the breath of fresh air, she started blogging on this platfom. Since then, she has contributed many many posts and many new thoughts. I always wonder how she manages to save all these great ideas in her little head. It was almost a year ago when I received a call from a number I did not recognize. Sure enough, it was Marga-Great (that's what I named her, for her greatness), congratulating me on my featured post where I had 'stolen' the idea from her post on how to promote your blogs to get more comments. She had offered her autographed book to every 10th comment - and I was the winner. 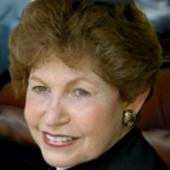 Since then, she has helped me several times - including once where she helped me close a transaction when I was dealing with a difficult negotiation situation. I am really lucky to be on ActiveRain and have found a great virtual friend (well, her voice is NOT virtual, BTW...) here at ActiveRain. What more do I say, Margaret? Everyone knows you, here at ActiveRain and elsewhere, too. This post is dedicated to your milestone of 1,000 very very useful posts on ActiveRain. I'll be honest, I have not read them all - but I know, each and every post delivers a unique message, be it print-ad or future sellers or these roses don't smell etc. etc. etc. Yes... We Found the Right House!! I have been working with a wonderful young couple for quite a while...even door knocked for them last May. Showed them a house a few weeks ago that Did Not Smell Like Roses!! What most of you call buyers, I refer to as future sellers! Whenever the opportunity arises that I help with the purchase of a property, I want to make sure that the home is one I would be proud to represent as a listing agent. This makes me look at houses in a different way. I tour the home with the buyers as though I was taking a listing. What does it need? What will it cost for updating? How would I market it? How is it priced? Is the value there? What if I had to resell it in a year? What else is on the market? How does it compare? At the same time I am watching the buyer's reaction. What do they like? What don't they like? I play devil's advocate. If they don't like it, I find the positives. If they do like it, I find the negatives. We have looked at numerous homes that the buyers have found on their own. I knew none of them were for this couple. I made a promise that we would find the right home. Discouragement was evident as time went on. I really wanted them in contract before the end of August..before the new baby's due date. Time was running out and when we went into that last smelly house..I think they were ready to give up. A phone call this week from good friends and former clients alerted me to home of their friends. It had been under contract and fallen through. They wanted me to find them a buyer in two days. WHOA! How is that possible? They said you are so good we just thought to give you a call. OK where is this house? It turns out it is the same house we have been watching...but out of our price range. The house was perfect, the location ideal..but over our budget. I was asked to show the house anyway. Nope not going to show a house to buyers that they cannot afford. The next day my buyers called to see a house that had just been reduced by a huge amount. They were notified though the use of my IDX site. It was the same house! The right house! By then, I already had a lender letter with the max they could afford, went to see the property yesterday, full contract offer in hand. They loved it... I knew they would! We signed the contract within hours of touring the property. 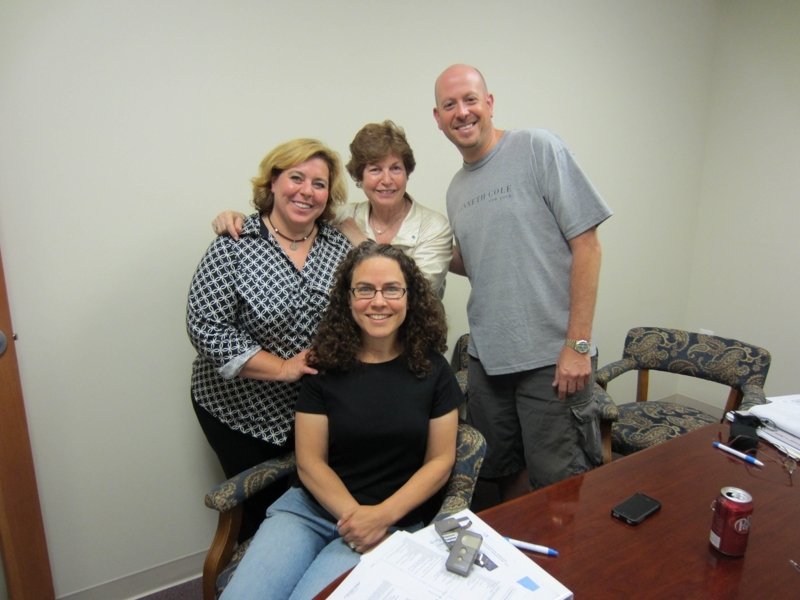 Today we have a ratified contract and two of the happiest future sellers you ever want to meet. Stay tuned for follow up pictures! Have to catch a flight or have to pick someone up from the Balitimore airport? Save some extra time and stop in at G&M Restaurant. If you like our Maryland blue crab delicacy, you owe it to yourself to try one of these scrumptious crabcakes! I am not sure you will find better anywhere. Try going at an off hour, they get really busy and the wait can be quite long. Last week when we picked Chet up from the airport we stopped for a late lunch. Around 3 PM was idea plenty of diners but we were able to get right in. This would be a good place for business meetings, and get togethers, a nice lunch or dinner. There ar lots of other yummy dishes served...but our favorite and most of our guests is that giant delicious crabcake. I Am Signed Up...Are YOU? RainCamp Online...September 8th FREE!! I am signed up.. are you? There are only 1000 spaces and there are over 211,000 members. Don't wait to sign up for RainCamp online. I am looking forward to the first ActiveRain Online RainCamp. I have been to other RainCamps but this one I do not have to travel, do not have to worry about parking, do not have to worry about the weather, do not have to worry about what to wear, do not have to worry about directions. Just need an internet connection and/or a phone line. Just have to show up online September 8th at 12 noon East Coast Time. See, I already have my confirmation. Thursday, September 8th, 12-4 pm Baltimore Time will be the first-ever live RainCamp webinar. RainCamp online is FREE to attend, but only for 1000 people! Don't miss out. Register now and reserve your spot today!